Get instant quotes for your company’s imports & exports and select the right carrier in the most quick and efficient way. Upload your shipments and let nestcargo do the rest. Save valuable time and lower your company’s transport costs. No more back and forth emails and telephone calls with carriers. Nestcargo helps you find the right carrier in the easiest way possible. 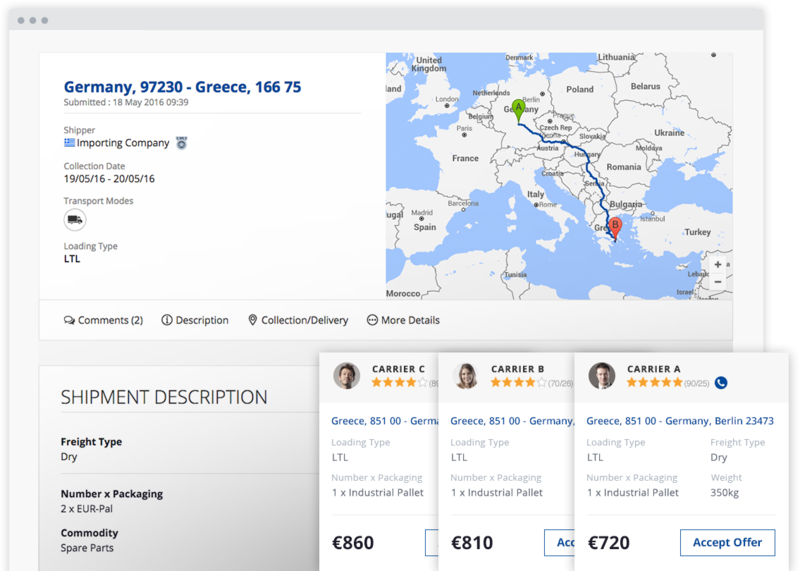 All you have to do is upload your shipments and carriers will give quotes in real time. "Due to nestcargo's ease of use, our company's imports management became better and more efficient"
Save up to 30% on your company’s transport costs. Carriers give their best quote based on their availability and excess capacity, so that you can choose from the most competitive quotes in the marketplace. 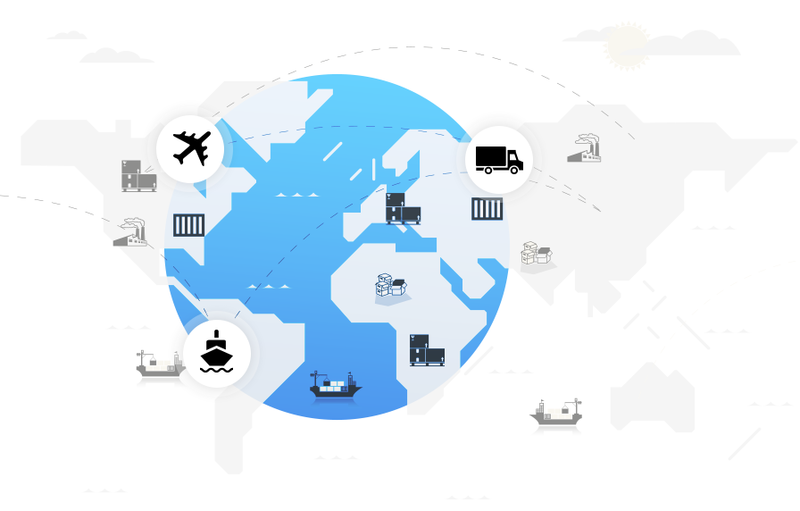 "Nestcargo is an excellent tool for international transport that helps us find instantly the best offer in the market"
Nestcargo helps you find the right carrier for any kind of shipment. Whether you want to ship one pallet or full truck/container loads, nestcargo’s global network will provide the optimum transport solution. "The convenience and functionality of nestcargo allowed us to significantly reduce our transport costs and the time required to select the right carrier"
Know whom you are dealing with. Every carrier has a cumulative rating score based on previous transactions made through nestcargo. You can view a carrier's profile to see detiled information, company verification documents and testimonials from other companies like yours. Trucking companies and freight forwarders have company profiles with contact details and a short description of their services. All companies provide the required documents to certify the quality of their services. These documents are always visible, for you to make an informed decision. After a transaction is made through nestcargo, the shipper rates the carrier, increasing the quality and credibility of the marketplace. The National Bank of Greece leads one of the largest and strongest financial groups in Greece. Nestcargo participates in the Bank's NBG Business Seeds Program. PLANNING S.A. is one of the leading management consulting companies in the fields of Supply Chain and Logistics in Greece.